BACKGROUND: This christian school is an accredited school that has had a government permit to operate in Syria for many years. The school consists of eight classes that run from age 4 years old through 6th grade. It provides not only strong academic preparation, but also teaching about Jesus, sometimes a meal a day, and an oasis of peace in the midst of the chaos of war. 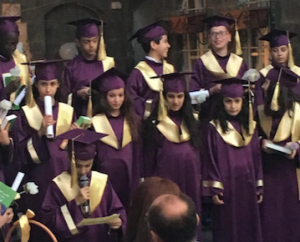 The school has a crucial role in shaping the future of Syria because grounding children in biblical faith is one of the best ways to protect them from the false promises of ISIS and other radicals. This school is desperately needed, but now faces a funding crisis. 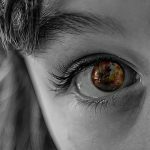 PRAISE: At this school, children are loved by Christian teachers who help them deal with the trauma that has created deep-seated fear and insecurity in their hearts. Over the months of the school year, teachers watch God change these precious children from withdrawn or angry boys and girls to children who understand that Jesus loves and cares for them in the midst of hard circumstances. This year, over 250 students are enrolled and have the privilege of studying in this godly atmosphere in an accredited school. NEED: Please pray for dedicated staff who reflect not only excellence in teaching, but the truth of Jesus in the lives of these children. In the past, donations helped the school run. Now, with lack of donations coming, the school is facing a hard time taking in students. Please consider partnering financially in sponsoring $20 for books for a student or one or 10 students. $300 per student will cover the yearly tuition for the whole year, and will include their books, some food, as well as Easter and Christmas gifts with any miscellaneous need they may have. The school has other needs for fixing up the place. Please pray for the Lord to provide.